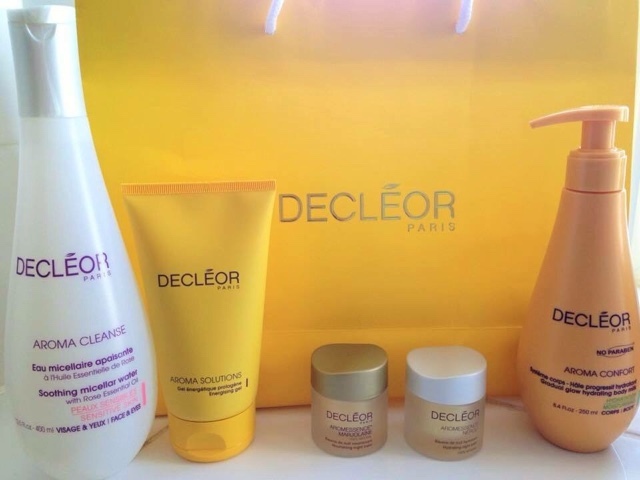 Decleor are the worlds leading professional aromatherapy skincare brand. Not only do their products fix, calm, heal and benefit the skin, their beautiful aromas and textures heighten the senses. You really do receive a full on spa experience every time you open the lid. When I saw this amazing set I knew it was perfect for me. Why? Well its been a very busy summer, school holidays with my two children, Exam results, a family holiday and busy days out. As much as I love, love this time of year, if I am not careful, come September I can end up looking like a tired, dehydrated, haggard mess hahaha. Not this time! This summer I have made sure to invest in myself and my skincare and this Set from Decleor features heavily in that equation. Products that are quick and easy to use, that are a pleasure to use and give lasting results! Perfect. The products that I am featuring today have been put together, especially to create a fantastic Today’s Special Value for QVCUK which is available all day Sunday 23rd August or whilst stocks last. Included in this amazing value set are four full sizes plus a very special offer…..
*Aroma Cleanse Soothing Micellar Water – 200ml. Micellar waters are really big news at the moment and for a very good reason, they are fast and easy. 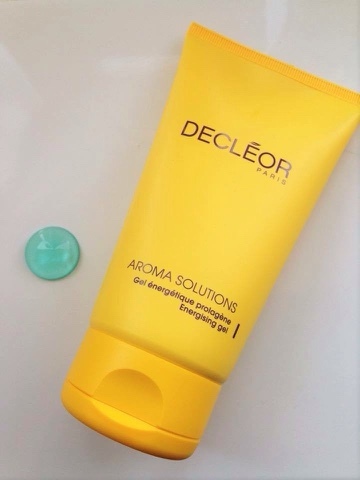 Where Decleor take it to the next level is by adding the beautiful Rose Essential Oil and making this an effective 3 in 1 cleanser, toner and eye make up remover. This paraben free formula is perfect for all skin types and suits sensitive skin perfectly. Fragrance free, soft and delicate, it really is a joy to use and leaves the most delicate Rose Veil over the skin. I dampen a cotton wool pad with water – to make the product go further – and put a few drops of Micellar on the pad. Then gently rest it on my eyes for a few seconds and wipe away! You will be amazed at how effectively this Micellar Water works on even the most stubborn, long lasting mascara. 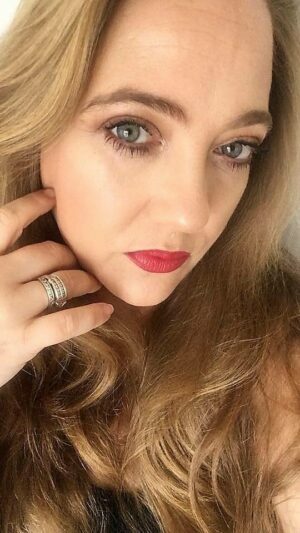 It takes eye make up off so quickly, without removing any of our precious eye lashes. This is a beautiful all in one that is perfect for cleansing and balancing the skin. Definitely one to keep by your bedside for those late nights to use over the whole face. A great tip that I do is, if you have a spare cosmetics pot, put some (lightly) pre-soaked pads in there and a few drops of this Miceller Water in and it is so handy to have in your handbag or car as a quick refresher during the day. *Aroma Solutions Prolagene Energising Gel – 150ml. Wow, was my first thought when using this product! For those of you that may not know, this was the first product Decleor created. It really is a multitasking product that once you have, you will wonder how you lived without it. 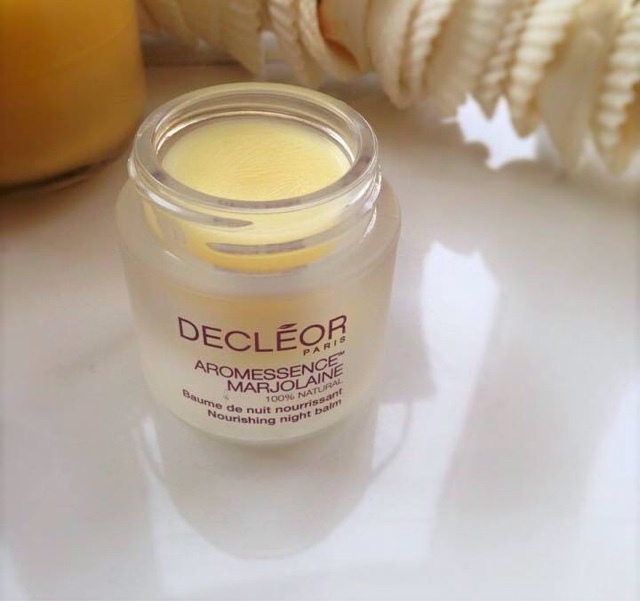 This gorgeous, Marine blue Gel can be used on both face and body and also blended with other Decleor products. It has a blend of beautiful ingredient’s including an amino acid called Proline L., which is similar to plant collagen and helps re-build the skin’s supporting fibres. The formulation also includes Osmanthus Absolute for its potent healing action. I have been using this on some marks on my hips due to previous weight loss and the texture glides on and sinks in without leaving any sticky residue whatsoever, I was so surprised by how fast the product actually dried into my skin. Fantastic on my face too, especially the open pores around my nose! I have really noticed a big difference there with them looking smaller. Also, when my eyes are looking tired and a little dark, this is a great help. I use the Gel as a mask under the eye area, I just pop a thicker than normal layer on a relax! Upon waking, my skin feels firmer and looks brighter. Also I love applying this around my neck and jowl area. Great multitasking product that really works! Such a great time and money saver-oh and it can be mixed with your balms for greater effect and we all love a bit of mixology! Included in the TSV exclusive to Qvcuk will be your choice of either Aromessence Neroli or Arromessence Marjolaine. *Aroma Night Aromessence Neroli Night Balm – 15ml. Now I love balms, love, love, love them especially cleansing balms so to have a night balm too is just a continuation of an amazing evening ritual . When you first open this 15ml Pot, please do not think that it will not last you very long. It will, these balms are so beautifully concentrated that a little really does go a long way, so please don’t overuse. Why do I love a balm so much? 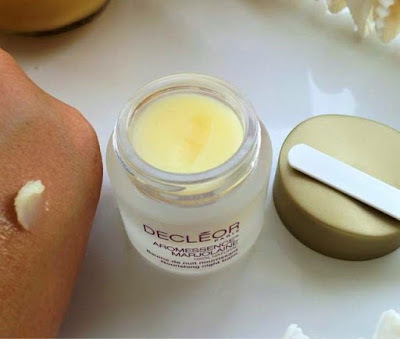 For me its the promise of beautiful, soft supple skin and this Hydrating Night Balm from Decleor really does not disappoint. If you have congested skin, combination skin, skin that needs some comforting, then this could be amazing for you. This would be my choice at certain times of the month, when my skin is slightly unpredictable, looks a little sluggish and has a few breakouts along the jaw line. 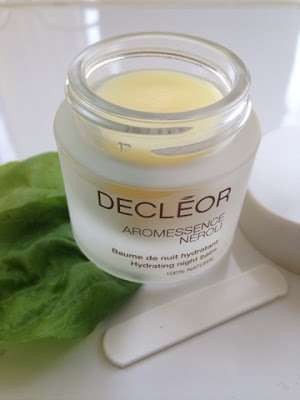 I know the previous two Decleor items I have written about have been fragrance free, but this wow!! This is Spa-in-a-Jar! This really is the most relaxing, indulgent, calming smell to fall asleep to at the end of your night time skincare routine. It is Addictive! 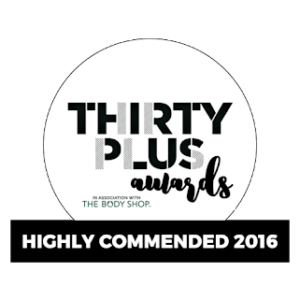 It includes essential oils of Basil, Neroli, Chamomile & Tonka Bean, all of which work really hard to feed and nourish your skin. When I smoothed a small amount into my skin, I felt relaxed and calm and the next morning…wow!! I woke up to soft, calm ,radiant skin. As I said, this one for me would be would be great slotted into my routine at certain times of the month. Great size for travelling and overnight bags. *Aroma Night Aromessence Marjolaine Night Balm – 15ml. Marjolaine, Marjolaine, Marjolaine, where have you been all my life? Now this would be my perfect choice from this TSV..Why? I have very dehydrated skin due to medication and probably, now I have turned 40,due to ageing. I have to be careful with the product I choose to use on my skin, they have to really hydrate my skin, without me constantly having to reapply. 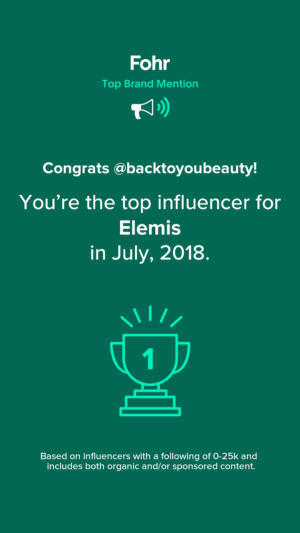 I am busy like many people, have a family and thinking about myself is always last on the agenda, but when you have amazing skincare products that you can trust to do what they promise, you just do not need to worry! So with that In mind, I am in heaven hahaha. Firstly and again I am sorry to go on, but the smell is divine!!! I have honestly, truthfully been sitting here with this by my computer, constantly smelling it. The scent is beautifully uplifting and happy and just….ahhhhhhhhh! The deliciously mouth wateringly fruity scent, is invigorating not cloying, it is also comforting, happy and nurturing. A real joy to use. After cleansing and Using the spatula included, I use a small pea sized amount, put it into my hands and gently warm it between my fingers, then I gently stroke it across my face and neck. It feels amazing, it gently sinks in and works its magic. Containing beautiful ingredients such as Marjoram, Myrrh and Lavender Essential Oils for their moisturising and nourishing properties, Cocoa and Shea Butters to nurture the skin , plus Cranberry, Argan and Avocado Oils to enrich the skin – it is divine. If you have dehydrated, thirsty skin, I really would highly recommend this balm. 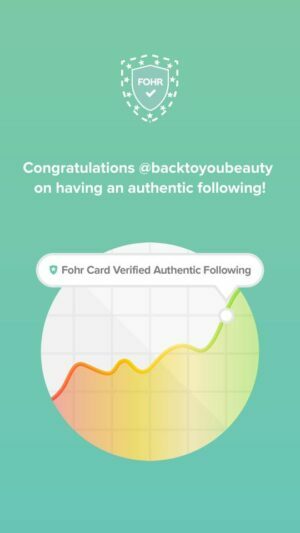 It works from the first application and I honestly woke up with the most beautiful soft, glowing, hydrated, plump skin!! *Aroma Confort Systeme Corps Gradual Glow Hydrating Body Milk – 250ml. Ok, regulars to my Facebook page will know that I absolutely rave about this product, it is something I use every other day From around April time when we get that first hint of spring sunshine. 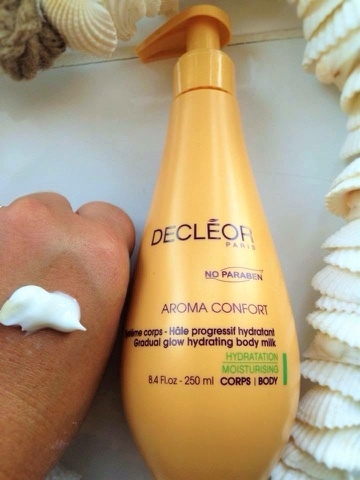 This is such a beautifully hydrating body cream firstly and really nourishes, I love this after my bath and also apply first thing in the morning as it dries so quickly. It has a very light scent that disappears quickly and creates such a natural, even, beautiful golden tan, honestly, in all the years I have used it, no-one has ever said anything other than how nice my tan is. There is no streaking, no orange, no mistakes that can be made when using this product. I apply it every other day and really get a natural golden tan. Just make sure you exfoliate before use, as it really works better on smooth skin, I apply it down over my feet too and backs of my hands. Always wash your hands after use, wait a few moments for the product to dry, then get dressed and you are good to go! This is a great way to try this brilliant product!. Overall, would I recommend this complete beauty kit? Yes indeed, this set is for everyone due to the choice you can make with your night balm. If you want nourished, calmed, more hydrated, healthy looking skin, then this complete system is absolutely perfect and at an amazing price I would seriously consider stocking up! Oh! Did I forget to tell you what the extra surprise is? It really is a special treat, included in this amazing set is a voucher for 20% off a Decleor Facial! Brilliant! Four items and voucher for £47.97 plus p&p!! 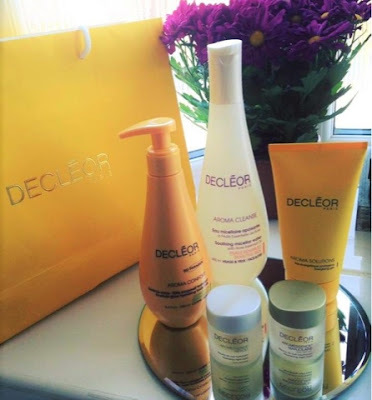 Individual items can be purchased from Decleor but this complete 4 piece set plus special item can only be ordered from Qvcuk at a special price which will be posted at midnight. I would love to hear your thoughts! Which balm have you chosen and why?